Dawnamatrix is a USA-based latex fashion designer specializing in bespoke handcrafted latex fashion and rubber couture. 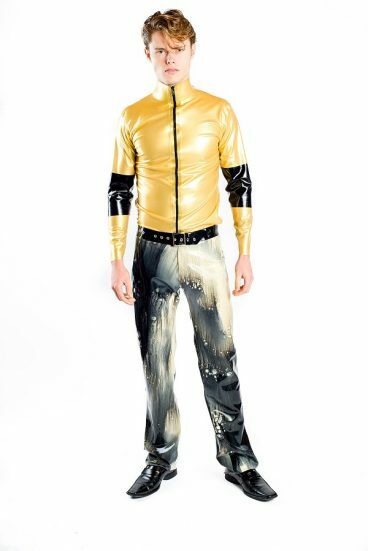 Across our various pages you will find the full range of our latex garments and accessories, social media connections, our blog, and full contact information. 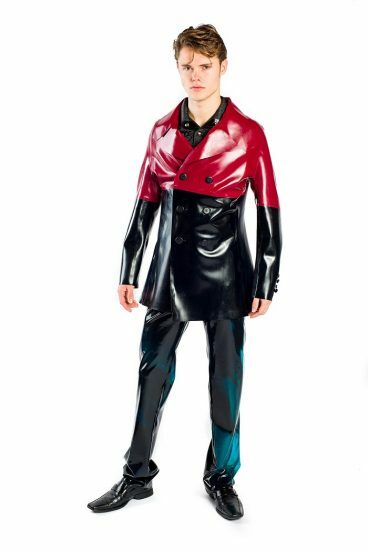 Whether you are a stylist, seasoned fashionista, fetish model, or simply looking for a few pieces of latex rubber clothing to spice-up your wardrobe we hope you will find something to delight, inspire, and intrigue you with what we present in our latex clothing shop. 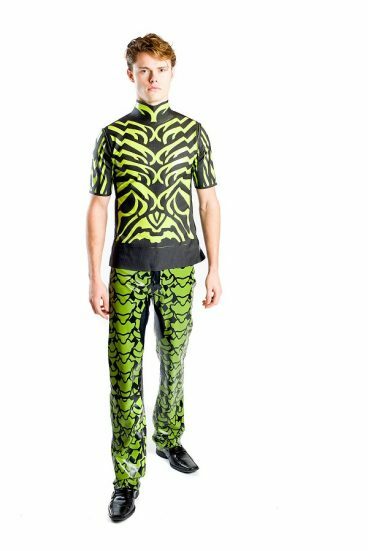 Consistently updating our latex apparel and bespoke garments, adding to our costumes from the ever-changing landscape of popular media, and keeping you informed with what is happening in our community, these digital pages are a home to all who come seeking alternative fashion and latex clothing online. 19th century couture merges with cyberpunk to create a dream envisioned for other worlds. Technology advances, propelling humans beyond Earth and toward the stars. Lady Ethereal is a noblewoman in a world where the Victorian silhouette has been re-imagined in space age style. By using natural and synthetic materials, cutting edge technology, and literary inspiration from the cyberpunk genre, Lady Ethereal is a celebration of the feminine form and celestial possibilities. We looked to Victorian fashion silhouettes to achieve a curvaceous, flowing, and powerful form in galaxy patterned latex, integrating sculptural elements. We explored transforming acrylic into a material that pushed past its rigid nature, creating a shape that echoed the gown’s voluptuous silhouette. Nanotechnology joins the arterial rush to heal or harm. There are over thirty-seven trillion cells in the human body. Red blood cells live for only one month on average before being consumed. The bleeding edge of technology is nano. Wherein, humans may soon access these trillions, and gain untold power over our own bodies. A collision of the resplendent past and the far future creates a dramatic aesthetic in this rare collection. Each item is a meditation of timeless beauty, to be enjoyed throughout the universe. From our unique Galaxy Catsuit to our iconic Spiked Bodysuit, this collection of unique latex couture demands the attention of all eyes in the room. Timeless classics such as stockings, cocktail dresses, and gloves. Our Basics may be worn as staple wardrobe pieces, mixed and matched with our other collections, or used to accessorize fabric garments.